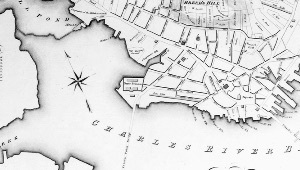 Gather at City Hall and march to Prospect Hill, where the first American Flag was flown. Once at Prospect Hill. learn about the important role our city played in the American Revolution. Also join us in patriotic songs and enjoy light refreshments. This is a public meeting of the Somerville Housing Authority. This is an open meeting of the Zoning Board of Appeals. 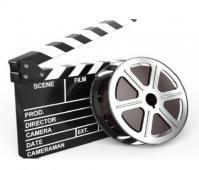 Free movies presented by the Somerville Public Library. This week's feature is The Huntsman: Winter’s War. This is a public meeting of the Powderhouse Studios Innovation Plan Committee. This meeting is to discuss design ideas for phase 2 of the WHCS project, the school yard. This is not a meeting to discuss the playing field - that’s another process. A public hearing for all interested parties will be held by the Planning Board. This is a public meeting of the Community Preservation Committee. The resort is located on the boardwalk in Atlantic City. It has world-class restaurants, non-stop entertainment, a dazzling array of shops. You will find all this and more!!! Members of the public are invited to come for this look back at the past year’s efforts as well as a look forward to City and School initiatives in the coming year. Additionally, as the City will celebrate its 175th Birthday in 2017, attendees will be welcomed to learn more about the City’s history through photos, exhibits, and interactive activities at a reception following the State of the City Address. Refreshments will be served. Public meeting of the Licensing Commission. In order to have an application on this Agenda approved, a representative for any/all applications submitted, must appear at this meeting. This is an open meeting of the Somerville Licensing Commission. This is a public meeting for the Powderhouse Studios Innovation Plan Committee. This is a public meeting of the Historic Preservation Commission. This is a public meeting of the Board of Library Trustees. This is a public meeting of the Somerville High School Improvement Council. This is a public meeting of the Commission on Energy Use and Climate Change. Mayor Joseph A. Curtatone, the Health and Human Services Department and the Somerville Public Schools announce the annual Martin Luther King, Jr. Celebration event, entitled, “One Somerville,” to be held on Monday, Jan. 16, in observance of national Martin Luther King Jr Day. This is an open meeting of the Powderhouse Studios Innovation Plan Committee. The City of Somerville, Somerville Public Schools, and local tech incubator Canopy City are proud to announce the first round of the BuildCorps Incubator. In the BuildCorps Incubator, Somerville middle school and high school students will work in groups to identify a problem in their community, propose a solution, turn that solution into a product in the Somerville Fab Lab, and learn how to market that product to customers and pitch to investors. This is an information session about the program. This is a public meeting of the Somerville Commission for Women. This is a public meeting of the Arts Council Board. This is a public meeting of the Healey Site Council. This is a public hearing for all interested parties by the Zoning Board of Appeals. Join us to learn about upcoming details for volunteer opportunities—including the opportunity to apply for the Volunteer Coordinator position!— with Somerville Open Studios 2017. We will also be discussing details for the 2017 Volunteer Photo Shoot to be featured in this years map book. This is a public meeting of the Board of Health. This is a public meeting of the Somerville Redevelopment Authority. This is a public meeting of the Traffic Commission. Be part of a fun and interactive experience learning about the results of the 2016 Student Health Survey taken by Somerville High School Students. Get to know the results first hand and be the first to give ideas on how to enhance the youth programming around prevention around the City of Somerville. Calling all Somerville visuals artists who prefer in-person to online registrations! Learn more about and register for this year's Somerville Open Studios with SOS Coordinator Ellie Laramie-Byers! Judy Gertler and Pat McMillen will be bringing the message of the Senior Medicare Patrol Program on how to avoid becoming a victim of healthcare errors, fraud and abuse. Everyone is welcome to join the Somerville Council on Aging Book Club. See flyer for more details. This is a special public meeting of the Historic Preservation Society. This meeting will tour those properties which are candidates for the Commission’s 2017 Awards Program. The tour will begin and end at 34 Josephine Avenue. A complete list of properties is attached. This is a public meeting of the Condo Review Board. This is an open meeting of the Bicycle Advisory Committee. This is a public meeting of the Municipal Compensation Advisory Board. This is a public meeting of the Board of Library Trustees meeting. This is an open meeting of the Somerville Retirement Board. This is a public meeting of the Somerville Historic Preservation Commission. 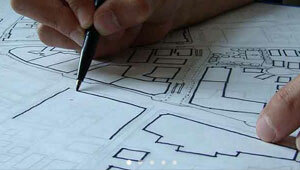 A public hearing for all interested parties will be held by the Design Review Committee. Space is limited to 12. Registration is a must. Lunch choices are Chicken Parm or Baked Haddock. See flyer for more information. Come join the Council on Aging for lunch at the Porthole Restaurant. Free movies presented by the Somerville Public Library. This week's feature is The Jungle Book. Jazz duo, Todd Brunel on clarinet and Joe Reid on piano, will perform a program of Benny Goodman favorites. See flyer for more information. This is a public meeting of the Planning Board. Join The Welcome Project, City of Somerville (Official), and your neighbors on the Somerville High School concourse in showing support for our Sanctuary City (2017 is the 30th anniversary of Somerville becoming a Sanctuary City) and all members of our community. The rally will feature a short speaking program and musical performances. This is a public meeting of the Recreation Commission. Price includes transportation, sleigh ride with a fire pit stop to toast marshmallows, hot cocoa, coffee or water and clam chowder or chili. Come to meet the Assessor (Marc Levy) for a question and answer session. A light lunch will be served. This is a public meeting of the Somerville Commission on Energy Use and Climate Change. This meeting has been canceled due to inclement weather in the forecast. This is a public meeting of the Community Preservation Committee CPA Logo and Project Sign Sub-Committee. Come join the Somerville Council on Aging as we celebrate Valentine's Day. Limited seating and transportation. The City of Somerville’s Planning Department invites you to a series of meetings aimed at chartering the next steps in developing this great neighborhood while preserving its character. This is a public meeting of the Somerville Licensing Commission. This is an open meeting to discuss the park design for the Nunziato Stormwater and Park Project. Please join the Council of Aging for a trip to the No Name Restaurant. Price will vary. This is a public meeting of the Somerville Affordable Housing Trust Fund. This is a public meeting of the Somerville Bicycle Advisory Committee. You don’t need grandchildren to come enjoy the day. Borrow a grandchild for the day. All are welcome. RSVP is a must. This is an open meeting to discuss the construction impacts of the Nunziato Stormwater and Park Project. This is a public meeting of the Somerville Retirement Board. Public meeting of the Fair Housing Commission. This is a special meeting of the Somerville Redevelopment Authority. Join us for an entertaining and informative talk by Joseph Cornish, Preservationist, past president of the New England Chapter of the Society of Architectural Historians and Bulfinch aficionado. Come join the Somerville Council on Aging as we celebrate Valentine's Day. Limited seating and transportation. Call for more information. DA Ryan will speak about childhood trauma and how we see it impacting children in various ways. The DA’s office has partnered with Project Linus who provide blankets to give to children who experience some type of trauma. This is a public meeting of the Somerville HS School Building Committee. Lunch will be on your own! There will be a $10 fee to hold your seat. It will be given back to you the day of the trip. Join author and Somerville resident Alan Bingham for a discussion of his recently published book: Dying Well Prepared: Conversations and Choices for Terminal Patients. This is the public monthly meeting of the Somerville Recreation Commission. The Somerville Redevelopment Authority (SRA) invites the public to comment on the Master Land Disposition Agreement (MLDA) with Union Square Station Associates (US2) at a special SRA meeting and public hearing on Wednesday, March 8, 2017, at 5:30 p.m. Located on the corner of Cedar St. and Highland Ave, one (1) unit will be offered to income-qualified households at an affordable price through the City’s Inclusionary Housing Program. The unit is part of a 7 unit development. This is a public meeting of the Affordable Housing Trust Fund. Karl Haglund, author of Inventing the Charles River, has spent the last 25 years as Project Manager for the Department of Conservation and Recreation for the new Charles River Basin. His book was published by MIT Press and received an honor award from the American Society of Landscape Architects. View flyer for more details. This is an open meeting of the Somerville Council on Aging LGBTQ Group. The CPA Advisory Committee, a sub-committee of the Somerville Historic Preservation Commission (HPC) will hold a public meeting to advise the HPC’s representative to the CPC and to make recommendations to the CPA relative to applications requesting historic preservation- specific monies. This is a special open meeting for the Somerville Commission for Women. At a Death Cafe people, often strangers, gather to eat cake, drink tea and discuss death. $10.00 Price Includes: Lunch, Coffee, Dessert Cards & Prizes. Come and have a fun filled day! Local artist Jodi Colella will be at the Cross Street Center’s Arts & Crafts Group sharing her creativity. 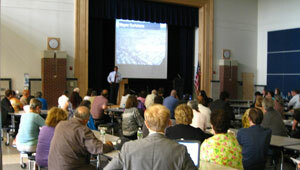 Public meeting of the Somerville Traffic Commission. Come join the Somerville Council on Aging as we celebrate St. Patrick's Day. Limited seating and transportation. The purpose of this meeting is to review compensation and classification of various city job titles and any other business. Please note: this info session was originally scheduled for Tuesday, March 14, but was postponed due to predicted snow. Please join the Somerville Commission for Women on Tuesday, March 21, for a special event in honor of Women’s History Month. “Shaping the Future: Our Community Dialogue,” will be held at The Highlander Café located in Somerville High School, beginning at 6 p.m.
Mayor Joseph A. Curtatone, Ward 5 Alderman Mark Niedergang, and the City of Somerville’s Engineering Department invite all interested residents to a community meeting to discuss the ongoing Cedar Street Water and Sewer Infrastructure Upgrade Project, on Tuesday, March 21, beginning at 6:30 p.m. in the cafeteria in the Kennedy School, 5 Cherry St. Construction is expected to begin on Cedar St.
Public meeting of the Somerville Bicycle Committee. This is a special meeting of the Somerville Historic Preservation Commission. Public meeting of the Finance Committee, to include a public hearing on the request of an appropriation and authorization to borrow $255,982,704 in a bond for the construction of a new Somerville High School. Somerville Council on Aging is going to Twin River Casino in Lincoln, Rhode Island! Video Slot Machines and Gaming Tables. Public meeting of the Somerville High School Building Committee. Learn more at somervillema.gov/highschool. Join us for a delicious lunch at Fiore’s. We will order off a special menu. This will sell out fast do not hesitate to sign up!! We're marking Somerville's 175th birthday all year, but March is an especially important month. 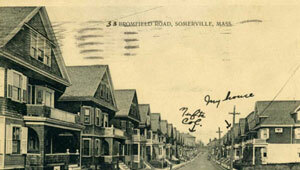 It was in March of 1842 that Somerville officially separated from Charlestown and became its own city. Join Ward 5 Alderman Mark Niedergang, and the Mayor’s Office of Strategic Planning and Community Development on Wednesday, March 29, for a community meeting to discuss upcoming renovations to the Hoyt-Sullivan Playground. The meeting will be held at the Visiting Nurse’s Association, 259 Lowell St., from 6:30 to 8 p.m.
Join us for a great morning of All- Acoustic Irish Music. Lunch and Bingo will follow the performance. Please RSVP by calling 617-625-6600 ext. 2300. The City of Somerville Planning and Zoning Department will hold two public meetings to present and discuss the proposed changes to the Demolition Review Ordinance, which requires the Historic Preservation Commission to review buildings proposed for demolition that are over 50 years old. 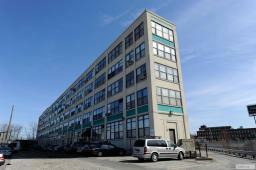 Are you thinking about opening a business in Somerville? We're holding a workshop that can provide you the information you need to open your business here in Somerville! Meet new people, share your insights, and learn how to become stronger and more resilient. 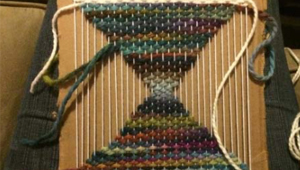 Eat excellent pizza, talk with Somerville artists, and support Somerville Open Studios! A portion of every flatbread pizza purchased will support SOS. Raffle too! Lunch will be served at noontime. Come to the Somerville Council on Aging’s Cross Street Center to learn more about the many languages, music, foods, and cultures of Somerville’s older adults. Mayor Joseph A. Curtatone and the Office of Strategic Planning and Community Development invite you to a public hearing to receive citizen input on the City’s 2017-2018 HUD One Year Annual Action Plan for the Community Development Block Grant (CDBG) program, the Emergency Solutions Grant (ESG) program and the HOME program. Mayor Joseph A. Curtatone, the Health & Human Services Department, and Somerville Animal Control are pleased to host the 17th Annual Rabies Clinic in the yard at the DPW Highway Garage on Saturday, April 8, 2017 from 10 a.m. to noon. The City's annual rabies clinic gives residents an easy and affordable opportunity to have their dogs and cats vaccinated against the rabies virus. 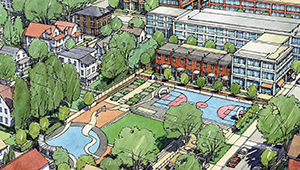 The Master Land Disposition Agreement (MLDA) between the Somerville Redevelopment Authority (SRA) and Union Square Master Developer US2 was submitted to the SRA for review at their meeting on February 16, 2017. A copy of the MLDA is available at the link below. The deadline to submit comments on the MLDA is April 14, 2017 at 12:30 p.m.
Join us for the City's annual Patriot's Day event, a Colonial Fair at Foss Park featuring, games, refreshments, 'Colonial Passports', and more! Did you know that you could be eligible for a free pair of diabetes shoes every year? If you have Medicare and Diabetes, please book a ten minute shoe fitting appointment at the Somerville Council on Aging. You must book an appointment ahead of time. 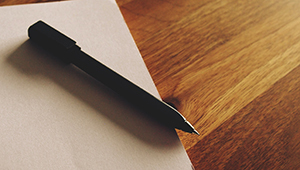 The meeting of the Somerville Municipal Scholarship Committee will be held to consider the recommendations of the Somerville High School Foundation Scholarship Committee for Recipients of the Somerville Municipal Scholarship. Join the City of Somerville, Groundwork Somerville, and Comcast Cares for the annual Spring Cleanup and Community Barbecue on Saturday, April 22, from 10 a.m. to 2 p.m. A rain date has been set for Saturday, April 29. All participants are invited to meet at the Blessing of the Bay Boat House on Shore Drive, at 9 a.m. This festival will be a celebration of urban wildlife and the return of spring in Somerville’s smallest "urban wild.” There will be science talks, tree planting, and activities to celebrate Arbor Day and the tiny great outdoors in Somerville. Are you a married couple celebrating 50 years or more of marriage? The Somerville Council on Aging is looking for couples to come celebrate this joyous occasion. In 2014, Mayor Curtatone set an ambitious goal for Somerville to become carbon neutral by 2050 in order to reduce the city’s contribution to climate change. Come learn about this goal and what it would take to achieve net zero carbon emissions across Somerville. 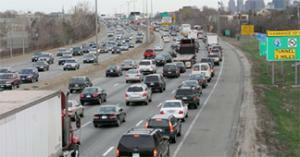 Learn about the project and what to expect during construction. This week’s story time will feature stories with environmental themes and city staff will be present to speak with parents about residential energy efficiency programs. Come get crafty and design a poster to encourage sustainable behavior. Prizes will be given for the most creative and persuasive posters. All art supplies will be provided. Learn about available positions and hiring opportunities at Assembly Row! For a full list of participating retailers, visit assemblyrow.com. Come see the new schoolyard design and get an update on the field construction. Public meeting of the Somerville Redevelopment Authority. Think you have what it takes to negotiate a successful international climate agreement? Join other members of the Somerville community for an interactive group negotiation that simulates the UN climate talks. This event has been canceled due to work being performed at the Central Library. Teen Empowerment Library Leaders are hosting an environmental film screening and discussion for Somerville teens as part of their ongoing film series. Mayor Joseph A. Curtatone, the Somerville Health and Human Services, Police and Fire Departments announced today that, in collaboration with the efforts of the U.S. Drug Enforcement Administration (DEA) and the “National Prescription Drug Take-Back” program, Somerville will celebrate “National Prescription Drug Take Back Day” on Saturday, April 29 from 10a-1p. Come join the Somerville Council on Aging as we celebrate Older American's Month. Limited seating and transportation. This lunch is for people who want to learn from experience and share their own experiences to help others. 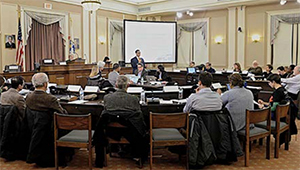 The Somerville Elections Department in conjunction with the State’s Office of Campaign and Political Finance (OCPF) will be hosting a Financial Training Seminar for Somerville Voters who would like to run for Municipal Office Tuesday May 2nd at 6:30 pm in the Aldermanic Chambers. Please note that there will not be a May 4th meeting of the SRA. The next meeting of the SRA will be held on June 8, 2017. The Somerville Historic Preservation Commission (SHPC) shall hold a Public Hearing concerning buildings which have been determined ‘preferably preserved’. The purpose of the meeting is to discuss alternatives to the full demolition of the house at 57 Broadway. Contemporary dance artist Heather Stewart will lead a gentle movement workshop. Pursuant to Massachusetts General Laws Chapter 140 Section 157, the Somerville Police Department will be conducting a public hearing on a dog complaint to determine whether a dog is a nuisance or dangerous dog, in accordance with Section 157 or other applicable law. Said canine named “Poppy” is owned by Maria Shik and housed at 39 Florence Street, Apt 1, Somerville, MA. Public meeting of the Somerville Municipal Scholarship Committee. The Somerville Housing Department is calling on members of the community to help spread the word about this year’s annual survey of youth who do not have a stable place to live. The Youth Count is an effort to gain a clearer understanding of the housing status and story of youth without a stable place to stay on any given night in Somerville and Arlington. Due to unforeseen circumstances, the West Branch Library Visioning meeting scheduled for Wednesday, May 10, has been postponed. Information on an alternate date will be shared as soon as available. We look forward to continuing our discussion about renovations to the West Branch Library and hearing your feedback at that time. Film Screening: "50/50: Rethinking the Past, Present, and Future of Women + Power"
The Somerville Commission for Women will join thousands of other groups around the world to host a screening of 50/50: Rethinking the Past, Present, and Future of Women + Power on Wed., May 10. The 20-minute film is meant to spark a discussion among attendees about issues of gender equality and how our community can work toward gender parity. As a continuation of our last neighborhood planning meeting on the topic of design and character, our staff wants to walk with you through Davis Square to observe and discuss design elements of existing buildings. This will require daylight, so we're scheduling three different time slots earlier in the day, on three different days. Somerville youth aged 12-18 are welcome to an open audition for the 2017 Somerville Sunsetters. Click on the flyer for more information. The City of Somerville’s Styrofoam Recycling program will return for all Somerville residents on Saturday, May 13, 2017. Residents may visit the Department of Public Works yard, located at 1 Franey Rd., between 9 a.m. and noon to dispose of all types of EPS (Styrofoam) foam packing materials, including foam bracing and packing peanuts. Help to conserve water and protect the environment by saving rainwater! Rainwater barrels are now available to order and can be picked up at this event. The deadline for ordering a rain barrel is Saturday, May 6th at 5 p.m.
Join us for the kickoff to Somerville’s May Preservation Month — with a leisurely stroll through the area recently dubbed as "Innovation Row." See how a formerly industrial area is transforming into a mixed-use neighborhood. Residents and business owners, current and former, get together to tell stories about the community, explore the area, and connect with neighbors. Join us for a fascinating discussion event with historian Ed Gordon. 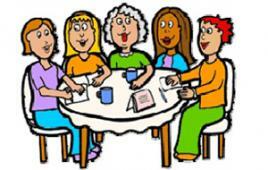 A fun, safe, social group to discuss women’s issues and growing older. Come meet new friends, reminisce, discuss any and all issues regarding woman and our role in the world today! Public meeting of the Board of Library Trustees. histories of your house and family. 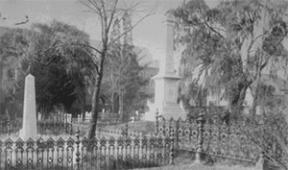 Come inside Somerville’s oldest cemetery, dating back to 1804, and usually closed to the public. Explore this rare and endangered gem, where British soldiers and Revolutionary citizens are buried. The Somerville Ave Utility and Streetscape Improvements project will address flooding issues in Union Square, and includes significant streetscape improvements including enhanced pedestrian, transit, bicycle, and traffic facilities. This is a music immersion class for those who have never played a woodwind instrument and would like to start, or have played in the past and are looking for an opportunity to play music again with others! Under the provisions of G.L. c 30A, the Metro Boston Homeland Security Region will conduct a public Urban Search and Rescue Working Group Meeting on Wednesday, May 24, 2017 at 10:00AM at the Boston Emergency Operations Center – 85 Bragdon St. Boston, MA. Join Mayor Joseph Curtatone, the Somerville Community Preservation Committee (CPC), and the Friends of the Community Path to celebrate the reopening of the Grove-to- Cedar section of the Community Path following repaving work that occurred this month. Public meeting of the Somerville Retirement Board. This is an opening meeting of the Metro Boston Homeland Security Region PSnet Executive Committee. 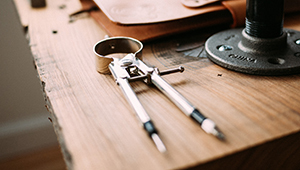 The Awards Committee of the Somerville Historic Preservation Commission will be having a small group working session to set up in preparation for their annual Preservation Awards ceremony. Please note: The flag raising has been moved to Thursday, June 1 at 2:45 p.m. due to forecast rain on the original date. Lottery Drawing for Affordable Housing Opportunity at 290 Highland Ave.
A drawing will be held to select the winning applicant for the affordable housing opportunity at 290 Highland Ave. This is a public event, but please note that only qualified entrants who applied by the entry deadline will be included in the drawing. The City of Somerville Planning and Zoning Department is holding an additional public meeting to present and discuss the proposed changes to the Demolition Review Ordinance, which requires the Historic Preservation Commission to review buildings proposed for demolition that are over 50 years old. Planning staff will provide a comprehensive overview of the current use of the ordinance, and explain the scope of the proposed changes including expanded review procedures, and more detailed applicant requirements. This new event will be a candlelight vigil reflecting the true meaning of Memorial Day. Please don’t miss this opportunity to come together to continue our week of remembrance here in the City of Somerville. Owners winning awards for work on their properties will be presented original art, AUTOCAD drawings, or woodburnings created by Somerville High School students in the Art Department, the Drafting and Pre-Engineering Program, or in the FabLab. The Awards Ceremony is preceded by a reception with light food and drinks. All are welcome to attend. This movie stars Ryan Gosling, Emma Stone, John Legend and Rosemarie DeWitt. This movie is rated PG-13 and runs for approximately 2 hours and 8 minutes. There will be a slideshow and discussion about the economic history of Somerville’s oldest commercial district, Union Square. 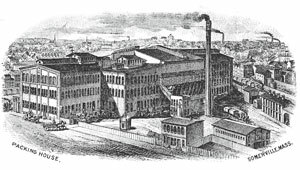 The discussion will profile some of the Square’s biggest employers beginning in the 1800's, including the meat-packing, glass-blowing, and textile finishing industries. The event will also feature a selection of photographs and histories of businesses spanning the last 100 years. Imagine Casinos that offer top-flight entertainment and the finest gambling facilities, all situated in nearby Connecticut. Do more than imagine Foxwoods and Mohegan Sun, Experience them! Please join Mayor Joseph A. Curtatone and the Somerville High School Gay-Straight Alliance (GSA) on Thursday, June 1 at 2:45 p.m., to raise the Pride flag in honor of LGBTQ Pride Month and LGBTQ Youth Pride. The ceremony will take place on the City Hall concourse, 93 Highland Ave.
For the first time, the Historic Preservation Commission will have Docent-led tours of the old Powder House, located between Ball Square and Teele Square. Join the Somerville Council on Aging for a dinner dance with dinner, dessert and dancing. The Somerville Arts Council and the Department of Health and Human Services present the “Big Gay Dance Party!” This first-ever ArtsUnion Pride month event is scheduled for Saturday, June 3, from 5:30 to 8:30 p.m., on the Union Square Plaza, and features DJ Dee Diggs, who will be spinning a variety of songs throughout the evening. The Somerville Arts Council presents Dancing in the Streets: a series of free outdoor dance performances. The Ryan Harrington Foundation’s "Just One" 5k run is on June 4th, 2017. This is a wonderful event to raise awareness around substance abuse and fight addiction. Please see the attached flyer and links below for detailed information. 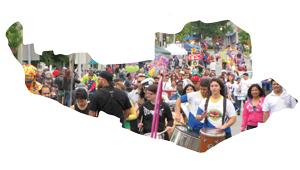 SomerStreets: Carnaval returns for its 8th year of shaking up East Somerville! SomerStreets will kick off the 2017 season Sunday, June 4, from 2 to 6 p.m. (rain date Sunday, June 11). The Somerville Historic Preservation Commission (SHPC) shall hold a Public Meeting concerning buildings which have been determined ‘preferably preserved’. The purpose of the meeting is to discuss alternatives to the full demolition of the houses at 57 Broadway, 150 Hudson Street, and 27-31 Murdock Street. This is a regular meeting of the Community Preservation Committee sub-committee tasked with planning the CPA 5th anniversary events and a conference for urban CPA municipalities. 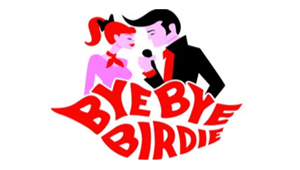 Enjoy a meal at The Old Colony Café in Norwood, followed by a viewing of Bye Bye Birdie at Norwood Theater. View flyer for more details. Children of the World Preschool will be coming to entertain our Seniors. Lunch and Bingo to follow as planned. A Memory Café is a safe, comfortable environment to share your stories and socialize with others who have worries about their memory. The café is geared towards individuals with Early to Moderate Alzheimer’s and their Care Partners as well as those who worry about Memory Problems. This is a public meeting in relation to the removal of trees as part of the Somerville High School district. 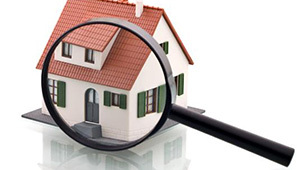 Do you face challenges in finding quality, affordable housing? Do you have ideas about how to make Somerville a more equitable community? The City of Somerville would like to hear your story and learn about your ideas! Come share your perspective and help the City develop a plan to make Somerville a more inclusive community at this public meeting. This structure was built in 1903 to honor the troops who camped atop the hill during both the Revolutionary War and Civil War. It was designated as a Local Historic District in 1985 and was just recently re-stabilized through a 2015 Somerville CPA grant. Join the Somerville Council on Aging for a Low Vision Support Group. The group meets the 2nd Tuesday of each month. As one of the most impressive food festivals in Greater Boston, the Taste features dozens of outstanding local restaurants, farms, food trucks, and beverage providers. Planning your life for the future can be difficult whether you are in the beginning stages of planning or have a more concrete plan in motion. Make sure that you and your loved ones are financially knowledgeable, legally protected and aware of what funeral expenses look like. It is never too early to look at securing your future. This is a public meeting of the Human Rights Commission. This is a public meeting of the Bicycle Advisory Committee. The Tufts Office of Government & Community Relations is pleased to invite you to a free outdoor screening of Disney's Beauty & the Beast as part of the first ever Community Summer Movie Night. Special Event in honor of Flag Day and Somerville’s 175th Anniversary, featuring Byron DeLear, from St. Louis to speak about the significance of the Grand Union flag; Refreshments and information tables. The brain child of Mayor Joe, who played trumpet in the Somerville High School Jazz Band, Joe’s Jazz and Blues Festival is back this year. On Saturday, June 17th, get ready for a free all-day outdoor event in beautiful Powderhouse Park (a.k.a Nathan Tufts Park)! Come early for Lunch at 1:30 PM Program from 2-4 PM. Bring your children for Fun and Activities, Games and Prizes. 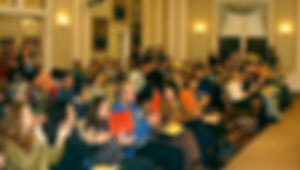 Hear from well informed & dynamic speakers. 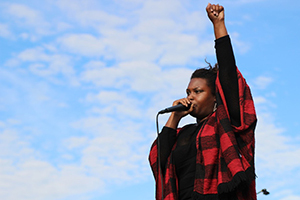 Produced with funding from The Boston Foundation's Live Art Boston (LAB) grant, the festival will showcase music (including Tef Poe, the St. Louis rapper and current Harvard University fellow who rose to national prominence as an activist at the forefront of the 2014 Ferguson, Missouri, protests), dance, visual art, talks, sign-making, letter-writing and other participatory activities. Come with us for the best opportunity to see these beautiful sailing vessels followed by a lunch at the Mt. Vernon Restaurant. Partners in Career and Workforce Development is a free 8-week employment and training program designed for individuals interested in entry-level employment within one of the Partners hospitals. Public meeting of the Somerville Commission for Women. Join the Somerville Council on Aging for a trip to Cracker Barrel and Walmart. Lunch will be on your own. With the recent passing of Union Square Zoning, the redevelopment transition in the Union Square neighborhood is taking off. A neighborhood council is forming to influence the transformation and help shape the future of Union Square, and neighborhood residents and business owners are invited to participate. This is a public meeting of the Somerville Traffic Commission. Join us for our day of free family fun celebrating Independence Day! Activities include pony rides, train rides, recreational activities, bouncy castles, free barbecues, and more! Do you have questions about the proposed Zoning Overhaul? Drop by sometime between 2 pm and 8 pm to ask questions to our planning and zoning staff. To learn more about the proposed Zoning Overhaul please visit www.somervillezoning.com, the "Infographics" tab includes some easy to read infographics which are a good introduction to the topic. Join the fun with the Somerville Council on Aging's LGBTQ Ice Cream Social. All are welcome. Somerville Climate Forward is an initiative led by the Office of Sustainability and Environment to develop a citywide plan for climate change, which will include strategies to reduce Somerville’s contribution to climate change and to prepare for the impacts of climate change. Join us at our first community meeting to learn about climate change in Somerville and share your ideas and vision to help shape Somerville Climate Forward. Afternoon At The Movies: "Hidden Figures"
Beat the heat and join us for our "Afternoon at the Movies." See flyer for more details. Somerville Council on Aging presents Doug Schmolze, Singer/Guitarist performing “Songs of World War I." Information session for those interested in applying for the opening general public member seat on the Community Preservation Committee. Public hearing on the FY18 Community Preservation Plan. More details available at www.somervillema.gov/cpa. This is a regular meeting of the CPC's event sub-committee, which is planning the CPA 5th anniversary events and a meeting for CPA cities. This partnership with the Somerville Police Department and the Center for Teen Empowerment aims to make communication between Somerville community members and the police department easily accessible, and strengthen relationships among police, youth, community residents and business owners. Mayor Joseph A. Curtatone and Alderman Robert McWatters invite you to a community walk to discuss the rehabilitation of Prospect Hill Park. This festival is a chance for the Nepali community to celebrate their culture in their City as well as an opportunity for the rest of the Somerville community to learn about and enjoy Nepali music, dance, food crafts and more! Join the Somerville Council on Aging for the JFK Library 100 Centennial Celebration. This is a public meeting of the Somerville Commission for Persons with Disabilities. Please join us Wednesday, July 12th at 11:30am at the Senior Center at 167 Holland Street for lunch. 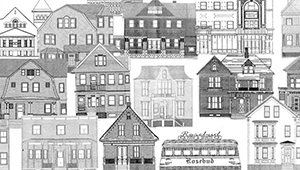 This meeting of the Somerville Affordable Housing Trust is accessible and open to the public. 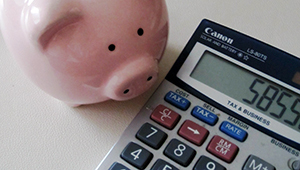 Planning on applying for CPA funding for a project on City or State land? This workshop is for you! This event has been canceled due to rain. Join us for the day as we take a little walk around the castle or sit back, relax and enjoy the weather. 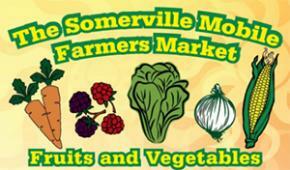 The Somerville Mobile Farmers’ Market sells fresh, local produce in Somerville, MA. We offer an unlimited 50% discount for residents of North Street or Mystic Housing, as well as for showing your SNAP, WIC, or Senior Farmers’ Market Coupons. ArtBeat is one of the area's largest and most innovative arts festivals, with over a dozen bands, dance troupes, 75 craft vendors, food, and all-age activities. Do you face challenges in finding quality, affordable housing? Do you have ideas about how to make Somerville a more equitable community? The City of Somerville would like to hear your story and learn about your ideas! Bring your memories and lets stroll down memory lane. Let's keep summer going with a BBQ at our Ralph & Jenny Center. 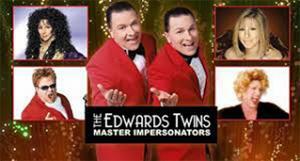 Join the Somerville Council on Aging to see the Edwards Twins, Master Impersonators at the Stoneham Theater. The festival will include music, dance, food, family-friendly activities and more for the entire community. For the first time, this year the festival will be held in the evening rather than during afternoon hours, and will feature a Beer Garden with Haitian and Brazilian beverages for guests 21+. Somerville Council on Aging is going to Twin River Casino (Video Slot Machines & Gaming Tables) in Lincoln, Rhode Island. This is an open public meeting of the Retirement Board. Keep summer going and join us for Beach Blanket Super Bingo. This is a regular meeting of the Community Preservation Committee's sub-committee planning the CPA's 5th anniversary celebrations and a conference for CPA cities. This is a regular meeting of the Community Preservation Committee. This is a public meeting of the Conservation Commission. Join your neighbors to learn about programs available to help you save money on your utility bills and live more comfortably. Hosted by the City of Somerville, this event will feature consumer advocates from area organizations, non-profits, and public utility providers to help connect residents to the program that fits their needs. 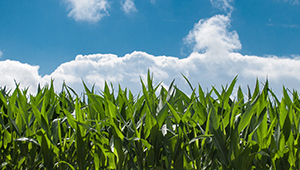 Do you have questions about the proposed Zoning Overhaul? Drop by sometime between 9 am and 2 pm to ask questions to our planning and zoning staff. Join the Somerville Council on Aging for Lunch and Bingo. Pursuant to Massachusetts General Laws Chapter 140 Section 157, the Somerville Police Department will be conducting a public hearing on a dog complaint to determine whether a dog is a nuisance or dangerous dog, in accordance with Section 157 or other applicable law. Please join the planning staff for a meeting on the Davis Square Neighborhood Plan, we have received your feedback and would like additional input before finalizing it. The topics will be the main intersection, cooperative maintenance, and the zoning map proposal. Join the Somerville Council on Aging for a Birthday Lunch and Bingo. Join us for Somerville's 14th Annual Night Out: America's Night Out Against Crime and Drugs. 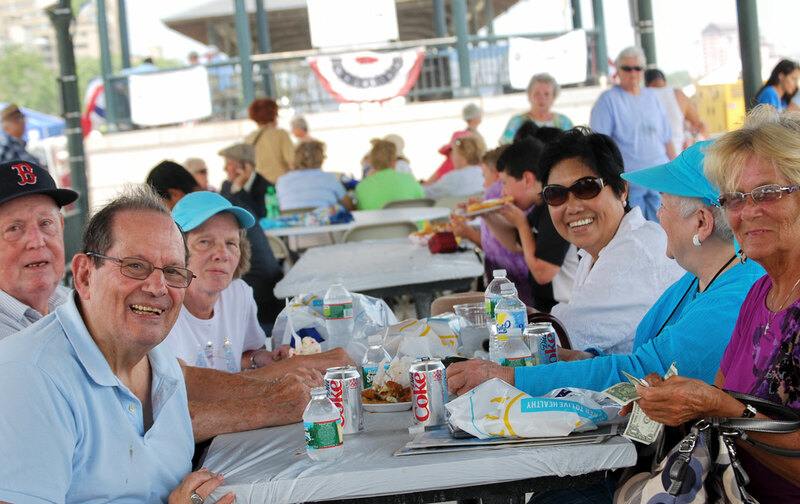 Join us for the 37th Annual Mayor's Senior Picnic. A great day filled with dancing, music, food, entertainment and prizes. Come by our Center monthly and have your blood pressure checked by Sara Harris, Somerville Public Health Nurse. SomerStreets is the City of Somerville’s take on the internationally-renowned Open Streets concept, closing busy city streets to vehicles, and opening them up for cycling, walking, dancing, running, and other modes of activity. Information about the City's latest renewable energy program called HeatSmart/CoolSmart will be available at the Office of Strategic Planning and Community Development Housing Division table. Pick up a flier and invitation to the kickoff workshop before the program is launched on Monday, August 7th! Join us for pizza & a movie. This month's movie is The Shack. This is a music immersion class for those who have never played a woodwind instrument and would like to start, or have played in the past and are looking for an opportunity to play music again with others! Join Clarinetist and sax player Todd Brunel in a new exciting musical adventure. 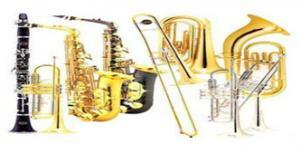 We will start with the basics and then work up some Basie (Count Basie that is)! Keep summer going by joining us for a BBQ at our Holland Street Center. Public meeting of the Human Rights Commission. 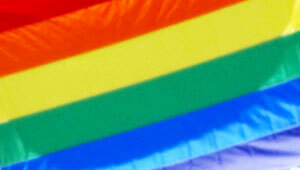 Please join the Somerville Council on Aging for a LGBTQ Monthly Lunch. This is a regular meeting of the Community Preservation Committee sub-committee planning the CPA 5th anniversary celebration and the CPA and the City conference. Our Ville Stands with Your Ville: Charlottesville Vigil in Davis Sq. In light of the recent events in Charlottesville, Virginia, we invite the Somerville community to come together for a solidarity vigil on Wednesday evening, August 16. This is an additional meeting of the Community Preservation Committee. Public meeting of the Somerville Bicycle Advisory Committee. The Somerville Mobile Farmers’ Market sells fresh, local produce in Somerville, MA. We offer an unlimited 50% discount for residents of North Street or Mystic Housing, as well as for showing your SNAP, WIC, or Senior Farmers’ Market Coupons. We accept cash, debit, credit, SNAP/EBT, WIC Farmers’ Market Coupons, and Senior Farmers’ Market Coupons. To celebrate Union Square’s sizzling food landscape we bring you: Ignite, an evening of international eats, fire throwers, roving entertainment, and a raucous celebration of global culture. Join the City's selected installers New England Ductless and N.E.T.R. and Coach and Somerville resident Molly to learn more about air source heat pumps and have your questions answered. 6:30-Refreshments, 7 pm-Presentation and Q&A session. The mayor will cut the ribbon on the Winter Hill School Field. This field will serve the students of Winter Hill School and the City’s youngest athletes. This is an open meeting of the Confirmation of Appointments and Personnel Matters Committee. The free annual SomerMovie Fest is back, and because of the animal-themed lineup, we’re designating this year’s fest as the “SomerMovie Beast.” Showings are scheduled every Thursday evening at dusk from July 6 through August 24. Screenings will take place at different locations across the city. The full “SomerMovie Beast” schedule is below. Join the Somerville Council on Aging as we go to Foxwoods Casino. This is a regular meeting of CPC sub-committee planning the CPA 5th anniversary celebration and CPA and the City forum. Free Yoga for Somerville's older adults. 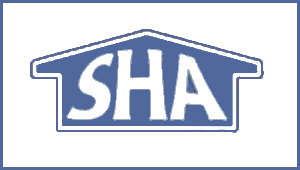 The Somerville Historic Preservation Commission (SHPC) shall hold a Public Meeting concerning buildings which have been determined ‘preferably preserved’. The purpose of the meeting is to discuss alternatives to demolition of the houses at 150 Hudson Street, 28 Mount Pleasant Street and 6-8 Spring Street. Join Mayor Joseph Curtatone Wednesday, September 6, at 9 a.m. in Union Square Plaza for an important announcement regarding the future of multi-modal mobility and safety in Somerville. Free Yoga in the Park for Somerville's older adults. Did you know that you could be eligible for a pair of diabetes shoes every year? Public Meeting of the Somerville Condominium Review Board. The City of Somerville's Styrofoam Recycling program will return for all Somerville residents on Saturday, September 9, 2017. Residents may visit the Department of Public Works yard, located at 1 Franey Rd., between 9 a.m. and noon to dispose of all types of EPS (Styrofoam) foam packing materials, including foam bracing and packing peanuts. Residents may visit the Department of Public Works yard, located at 1 Franey Rd., between 9 a.m. and noon to dispose of all types of EPS (Styrofoam) foam packing materials, including foam bracing and packing peanuts. HeatSmart/CoolSmart installers and volunteers will have a table at Riverfest to help answer your questions and schedule no-cost, no obligation site visits! Residents invited to join the Committee for a walking tour and community celebration. Somerville is celebrating the 5th anniversary of the adoption of the Community Preservation Act with a celebration at Prospect Hill Park. Join us for cake, music, lawn games, and tours of the Tower. Talk with CPA project implementers about their projects! Bring your furry friend to the Annual Somerville Dog Fest and stop by the HeatSmart/CoolSmart tent to speak with our Program Installers about air source heat pumps and for a treat for fido! The Somerville Arts Council in partnership with Chris and Jennifer Daltry of What Cheer Records presents the Rock and Roll Yard Sale, an ArtsUnion market taking place from 11 to 5 p.m. on Sunday, September 10, on the Union Square Plaza. Fall 2017 Historic Somerville Local History Lecture Series presents this talk by Larry Willwerth, Officer of the Ancient and Honorable Artillery Co. of Massachusetts. During the months of September and October in the United States, people recognize the contributions of Hispanic and Latino Americans. Join the Somerville Council on Aging for a Welcome Back Breakfast. Free Tai Chi in the Park for Somerville's older adults. Fall Super Bingo: Come and have a fun filled day! Mayor Joseph A. Curtatone and Street Realty Inc. are pleased to announce 56 rental units will be offered to low/moderate income eligible households through the City’s Inclusionary Housing Program via an application and lottery process. Are you approaching age 65? Do you have questions about applying for Medicare? Come learn about the Medicare process and get your questions answered. From 5:30pm to dark, there will be Docent tours of Prospect Hill Tower. In the United States, National POW/MIA Recognition Day is observed on the third Friday in September. 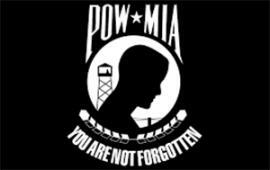 It honors those who were prisoners of war and those who are still missing in action. Mayor Joseph A. Curtatone and the Office of Strategic Planning and Community Development invite you to a public hearing to review the City’s 2016-2017 Consolidated Annual Performance and Evaluation Report (CAPER), and to obtain public input on its performance on the current grants funded by the US Department of Housing and Urban Development (HUD). Docent tour of Prospect Hill Tower. 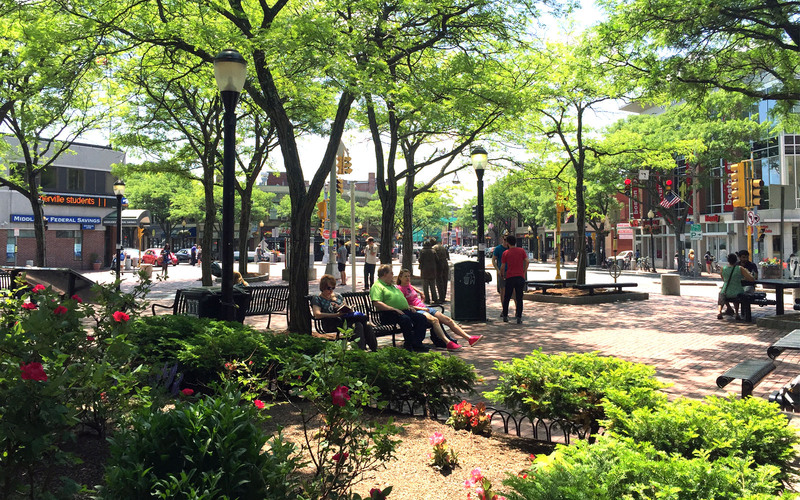 The annual Union Square Walking Tour starts from outside the Central Library and ends with a reception at Nu Café on Washington St.
Visit Molly, HeatSmart/CoolSmart Coach and City-selected installers when Somerstreets takes over Highland Avenue! Learn more about SomerStreets here. The Council on Aging is off to Mohegan Sun for the day. Mayor Joseph A. Curtatone and Ward 5 Alderman Mark Niedergang invite all interested persons to a community meeting on Cedar Street Roadway Improvements including traffic calming measures, bumpouts, a new crosswalk, and road resurfacing, are planned for Cedar St. between Highland and Broadway this fall. Join us for a wonderful day trip to Salem Willows. Keep summer going and join us for a BBQ at our Cross Street Center. Join us for the AARP Homefit Workshop presented by our own Sandy Francis. This is an open meeting for the Somerville Veterans’ Commission on Monuments, Memorials and Dedications. Join the Somerville Planning Department for a discussion series about the future of Davis Square. What issues and opportunities do we as a community need to address for Davis Square to be its best self? What is important to preserve? At the first meeting, we will work collaboratively to identify outstanding topics of interest and at the second meeting, we will work together to develop an action plan to address those topics. September's movie is "Going in Style" running 1 hour and 36 minutes. See flyer for full details. Check out HeatSmart/CoolSmart volunteer coach Molly and the City's selected Installers at the annual East Somerville Main Street's Foodie Crawl! More information about HeatSmart/CoolSmart is available here. Tickets for the Foodie Crawl and more information are available here. Mayor Joseph A. Curtatone and Ward 5 Alderman Mark Niedergang invite you. ResiStat meetings are your chance to get updates on major projects in the City, find out what’s going on in your neighborhood, meet and chat with your neighbors and elected officials, and enjoy refreshments. Free and open to the public and will be catered by Cuisine En Locale. This FREE ArtsUnion festival is by the City of Somerville and Somerville Arts Council in partnership with Wat's da WURD and Xperience Creative. 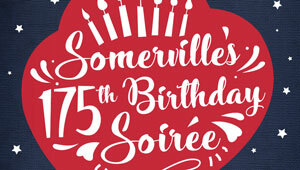 Are you a Somerville resident 60 years of age or older? programming we have that is available to help you. This is an open meeting of the Somerville HS School Building Committee. The vigil is an annual event bringing the community together in remembrance of those who have lost their lives over the last year to domestic violence. Join us for the second workshop for Somerville's HeatSmart/CoolSmart program! Event details: Refreshments at 6:30, presentation at 7:00 pm. We’re very excited to be bringing back Friday night lantern parades for the fifth year! Teaming up with The Puppet Free Library, Parts & Crafts, and Spontaneous Celebrations to host light and lantern-making workshops with kids and adults! Come hear some HONK! 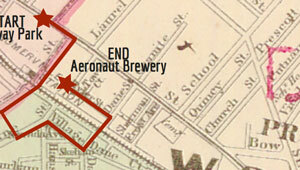 bands perform at the Aeronaut Brewing Company after the lantern parades. Free admission. Come hear some HONK! bands perform at Once after the lantern parades. Free admission. Parade from Davis Square down Mass Ave to Harvard Square to “Reclaim the Streets for Horns, Bikes and Feet”, featuring HONK! 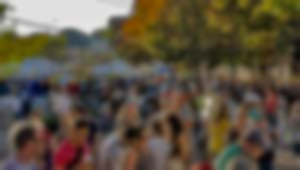 bands and community groups, from Davis Square to Harvard Square’s Oktoberfest celebration. Fall Festival Lunch & Bingo See flyer for more details. This program is for young women ages 9 to 15 and is aimed to help raise the standards for how girls treat themselves, each other and the world. Fall Festival Lunch & Bingo at Holland Street. Join the Somerville Council on Aging for a Fall Festival Luncheon & Bingo! Please see flyer for pricing and details. This meeting of the Somerville Affordable Housing Trust has been cancelled and will be rescheduled. Discover the green mountain state! SEB and the Housing Division will be holding an information session Thursday, Oct. 19th from 6-7:30 in the Auditorium of the East Somerville Community School for more information on the 56 income –restricted rental units available at Montaje in Assembly Row. Join Mayor Joe Curtatone, the Somerville Public Library, and Somerville-based Publisher Candlewick Press for an afternoon story time on Saturday, October 21. 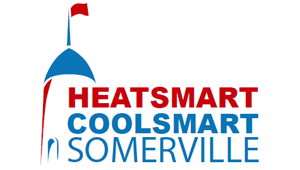 Visit Molly, HeatSmart/CoolSmart Coach and City-selected installers when Somerstreets takes over Somerville Avenue! This ghostly gathering treats visitors to a guided tour of the gravesites. At each site, a Ghost will engage in conversation about his or her life in Somerville in centuries past. A wonderful way to learn about your City from those who lived in! There is a suggested donation of $5 for this event. Fall Festival Lunch & Bingo at the Cross Street Center. Join the Somerville Council on Aging for a Fall Festival Luncheon & Bingo. The purpose of the meeting is to provide the community with a general update on the GLX project and ongoing early works construction in Somerville. Lunch, music, gifts and karaoke with the Mayor and a special guest. Join the Somerville Council on Aging as we celebrate Halloween! The Somerville Commission for Persons with Disabilities invites you to attend our annual celebration of National Disability Employment Awareness Month. This year's theme is "Inclusion Drives Innovation" and will feature an evening of music, art, poetry and a panel discussion. Public meeting of the Conservation Commission. "Beer in the Great War" is a lecture by Dan Breen. It will be followed by music of the prohibition era and WWI by Matt Glaser and Joe "Sonny" Barbato. Join us for our Annual Health & Wellness Fair. to assist you in obtaining a Charlie Card. Help us keep our youth safe by properly disposing of unused and unwanted medications. Plant bulbs with your neighbors and frolick in a wash of jubilant color in the Spring! Join us for our monthly Afternoon at the Movies. watching Hocus Pocus. See flyer for more details. Join us for our next round of Davis Square Neighborhood Plan discussions! To fulfill the goal of strengthening Davis Square as a Local Center, we will be showing potential development on sites in the Davis Square core. Mayor Joseph A. Curtatone, Ward 6 Alderman Lance Davis, and the City of Somerville Engineering Department invite residents to a community meeting. Mayor Joseph A. Curtatone and the Board of Aldermen invite residents to the Fall 2017 ResiStat Community Meetings, a twice-yearly effort to share the latest City news, data, and neighborhood updates directly with residents and gather their feedback. ResiStat is more than a great way to get an overview of what’s happening specifically in your neighborhood as well as citywide. Mayor Joseph A. Curtatone and Alderman Robert McWatters invite you to a community meeting to discuss the rehabilitation of Prospect Hill Park. Join the Somerville Council on Aging for a Thanksgiving Luncheon & Bingo! 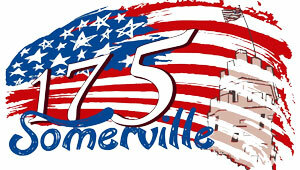 Join us to commemorate Somerville's Veterans of the Revolutionary War and Civil War. Join us on Saturday, November 11, 2017 for a celebration in honor of the 175th Anniversary of Somerville’s separation from Charlestown. Tickets will be available in October, and will be limited. Join the Somerville Council on Aging on this shopping trip. Get your Holiday shopping done early! Lunch is on your own. The City of Somerville's SomerViva program will be helping residents who speak Spanish, Portuguese, or Haitian Creole to apply for the 56 income-restricted rental units available at Montaje in Assembly Row. The application deadline is 2 p.m. on Monday, November 13, 2017. Special meeting of the Somerville Bicycle Committee. A lecture to commemorate the end of the War to End All Wars. The deadline for the 56 income-restricted rental units available at Montaje in Assembly Row is today at 2 p.m.
Join the Somerville Council on Aging for a Thanksgiving Luncheon & Bingo. Parents and guardians of students in grades 5-8 are invited to join us to learn about what young people may be doing online and how to help your child stay safe. A joint public hearing for all interested parties will be held by the Planning Board and the Board of Aldermen Land Use Committee. Public meeting of the Planning Board. The Somerville High School Craft Fair is put together by the high school's Track Parent and Alumni Club. We are a registered nonprofit that exists to support the athletes that run on Somerville High School's Cross-country, Indoor and Outdoor track teams. 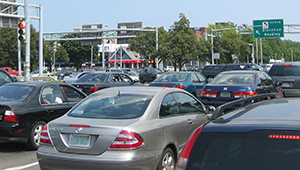 With construction on the new Somerville High School building project set to begin in January 2018, gradual changes to parking options on the Central Hill Campus (which includes City Hall, Somerville High School, and the Somerville Public Library) and the surrounding public streets will also begin at that time. Learn how to Be SEEN! state and federal programs to help make homes more energy efficient. Somerville Council on Aging Presents: Learn how to Be SEEN! Join Christine Andrews, Housing Environment Programs Coordinator at 167 Holland Street, Somerville at 10 am Tuesday, November 28 to learn how to improve the efficiency and comfort of your home – just in time for winter! Light refreshments will be provided. Please contact Natasha at 617-625-6600 ext. 2317 to RSVP. we are showing Megan Leavey. Please see flyer for details. President William A. White, Jr. and Finance Committee Chair Tony Lafuente have called for a meeting of the Board of Aldermen’s Finance Committee, to conduct a Public Hearing on the Mayor’s proposal to create a Union Square Development District (BOA #204437), and a Union Square District Improvement Financing (DIF) Development Program (BOA #204517). Canopy City is bringing together four companies that develop a Virtual Reality for various purposes: Real Estate, Healthcare, Entertainment, Sports, etc. The goal of the event is to identify the future of the Virtual Reality development by highlighting the most promising Virtual Reality applications. Bake sale, raffles, crafts and much more. Join us for our Annual Holiday Festival and Bazaar. Eat for a cause! Join us for a night of wood fired pizza, local brews, and candlepin bowling. We’ll have raffle prizes including merch and beer from all our favorite local breweries. Partners HealthCare Workforce Development, in conjunction with the Academy for Healthcare Training, is offering a free CNA training program where our participants, upon successful graduation of the program, will earn dual Nursing Assistant and Home Health Aide certificates, receive placement assistance focusing on full-time CNA employment within the Spaulding Rehabilitation Network. Join us at this final meeting to provide feedback on the MIT graduate student's proposed neighborhood plan for Ball and Magoun Squares. They will share recommendations for the area and would love to hear from you! Refreshments will be served. This class will combine glass painting and water color into a winter scene. Space is limited. Please see flyer for details. The planning department will be holding office hours by appointment only to answer questions about the proposed city-wide Zoning Overhaul. Continuing a multi-year planning and design process, all interested parties are invited to join Mayor Joseph Curtatone and the Office of Strategic Planning and Community Development for a meeting to discuss the future of the ARTFarm site. Join the Somerville Council on Aging for a Holiday Party & Bingo! and socialize with others who have worries about their memory. Please see flyers for additional information. Come hear local seniors read from their new chapbook, Streets Paved With Gold, at a free reading! Join Somerville Mayor Joseph A. Curtatone for the city's Annual Holiday Tree Lighting. Coldwell Banker will be hosting two open houses in December for anyone interested in applying for an income-restricted unit at The Flatiron. Featuring selections from Handel's Messiah and familiar Christmas/Chanukah music, including an audience sing-along. Join the Somerville Council on Aging for a Holiday Luncheon. Mayor Joseph A. Curtatone & Alderman Robert McWatters invite you to the 3rd community meeting to discuss the renovation of Prospect Hill Park. Bring a friend! All are Welcome! Space is limited. Please see flyer for more details. In partnership with the Somerville High Culinary Arts Program, Assembly Row will host an Ice Sculpture Stroll with tour stops around property. Come see them all and cast your vote to help name this year's champion! Join the Council on Aging as we hop on a trolley and become amazed at the holiday lights of Somerville. Limited seating. The first Board meeting of the Union Square Neighborhood Council will be at 6:30pm on Tuesday, December 19th, at the police station/public safety building (220 Washington Street). Elected board members will be in attendance. This meeting, of course, is open to the public! Are you 60 and over? 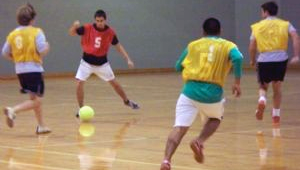 Come join us for some Wednesday morning fun, physical activity and socialization. Come in and join us for a Holiday Fun Day. Wear your favorite pajamas or ugly sweater!